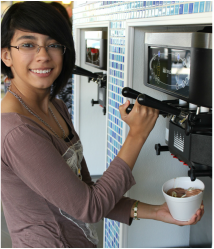 Jungle Yogurt is dedicated to helping our community. We have a delicious and fun way to raise money for your non-profit group. We will enthusiastically host your group in our store along with friends, family, coworkers, neighbors and anyone wanting to help a good cause. A percentage of event sales will be donated to your organization! A fun night out with friends and guests enjoying a treat together for the cause. And of course, delicious and healthy frozen yogurt! Just fill out and submit your Jungle Yogurt Fundraiser Request Form. We look forward to working with you!